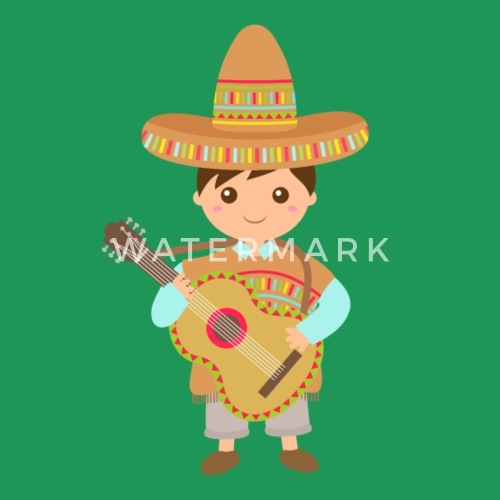 A cute boy wearing colourful Mexican themed clothing, a Sombrero wide-brimmed hat and a poncho that are in an interesting stripy pattern. The boy has a guitar strapped around his neck. 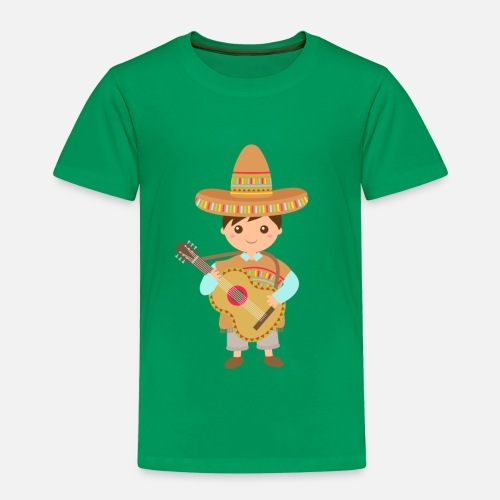 Cute for kids!